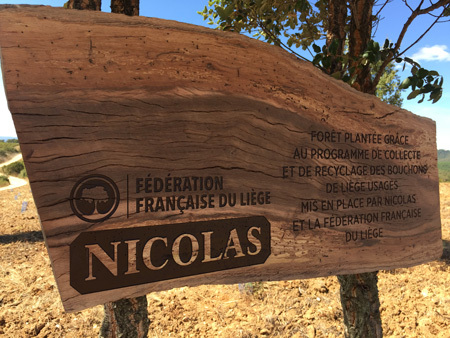 Nicolas goes green! The 1st at a national level! You can bring your corks into the shop. It's a simple gesture and a real plus for ecology! Your corks will be recycled as floor coverings, decorative items, parts for the aerospace and car industries, or as electrical energy. The funds raised will be donated to the MLI (Institut Méditerranéen du Liège) to finance planting cork oaks in the Pyrenees-Orientales department. Today more than 16 million corks have been recycled, equivalent to planting over 2,000 cork oaks. A small gesture for you, a huge gesture for the planet!